Emphasizing the importance of bully free communities on Long Island through education, increased awareness and therapeutic outlets. 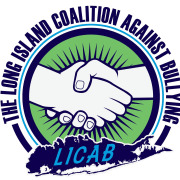 The Long Island Coalition Against Bullying is a federally recognized 501(c)(3) non-profit charitable organization dedicated to emphasizing the importance of bully free communities on Long Island through education, increased awareness and therapeutic outlets. Would you recommend LONG ISLAND COALITION AGAINST BULLYING INC?